WITH a nickname like Wild Thing, you would be surprised to know that Keith Hawley is into his art. The photographer has been "pointing his camera" at things for about 30 years and says he just always enjoyed it. But recently he has been turning his passion for photos into works of art. A love of cars and trucks has seen him in the last 10 years take some beautiful shots of old vehicles, hot rods and vintage cars. "I enjoy vehicles, to keep the memories," he said. But it was only probably in the last four to five years that he started "creating works of art with the photos". With backgrounds and landscapes he has photographed in various locations Keith merges his subject into beautiful surroundings and the result is some stunning photos. 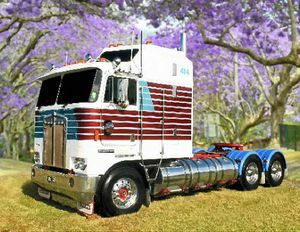 ABOVE: Trevor Smith’s Kenworth was photographed by Keith at the Beenleigh Heritage Truck Show in 2011, he then used a background requested by Trevor to make the photo into a work of art. 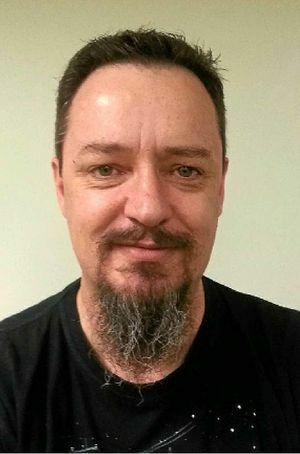 Keith, a graphic designer with the Queensland Times, uses various software programs and some of the images can take up to two hours to build, depending on how much blending and computer work is needed, and that's after the photos have been taken. You can usually find him at various truck and car shows on weekends, where he will take up to 300 photos trying to get the right shot. "Its common place to shoot 300-400 photos at a show." And picking the right one can be easy: "Some of them jump off the screen and say 'Trick me up' ." The backgrounds are taken on his travels all over the country. thought that it would look good as a backdrop." Keith collaborates with fellow photographer Tom Mason who used to work for Big Rigs back in the day. "We always shared ideas and I get inspiration from Tom's work," Keith said. "People like to see their own vehicles in a photograph." Any advice for budding photographers? "Just enjoy your photography. "Truck photography is the same as any, lighting and framing are important, if you are taking a photo of a particular truck you don't need five in the background, get the subject to fill the photo. The fun part about any truck show, he said, was "you'll have 10 people walk in front of you" when you've lined up to take the shot, "patience is the key". You can see more of Keith's truck and car photos online or his other work also at redbubble. Truck photographer Keith Hawley AKA Wild Thing. 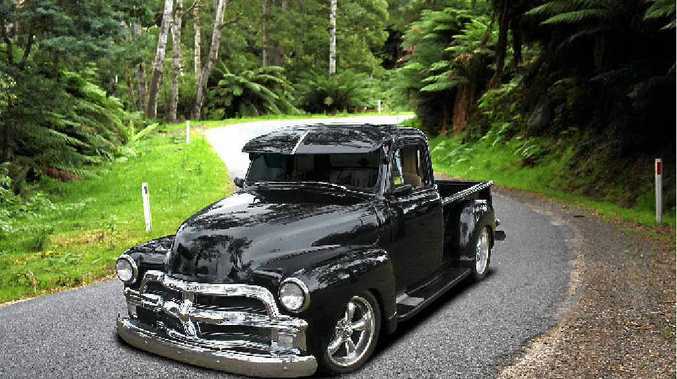 Dream Car: Early Chevy pick-up.